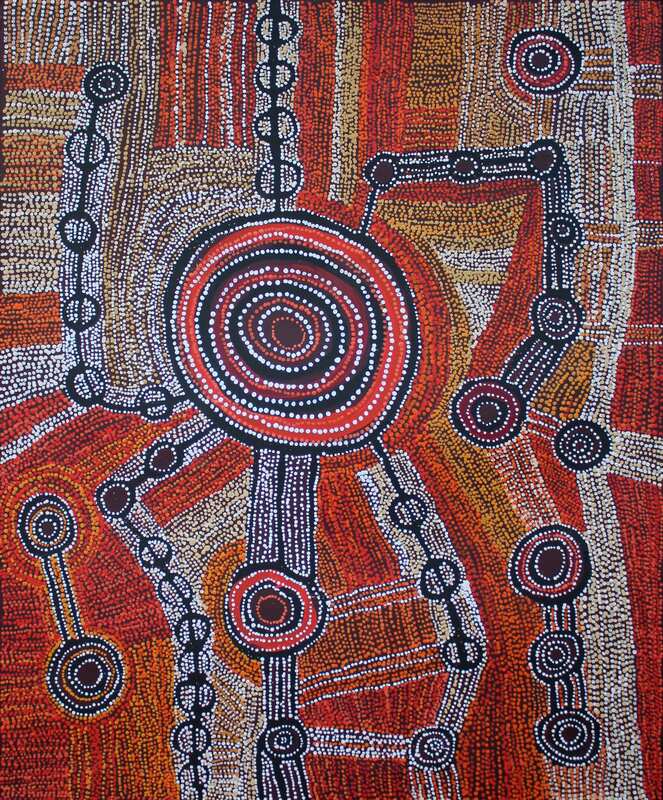 I paint the Wanampi Tjukurpa, or Water snake Dreaming. This is a story from Piltati, near Nyapari (on the Anangu Pitjantjatjara Yankunytjatjara - APY - Lands in the remote north-west of South Australia). There's a special rockhole at Piltati where this creation story takes place. There's two wait (men), brothers and their wives. There's trickery and conflict, and the men change themselves into wanampi (water snakes). The story tells how the land was shaped and formed. It's important that we hold our culture, our stories, our connection to country strong for malatja-malatja (future generations)-that's why I make paintings.